Samsung Galaxy Note 8 vs. Galaxy Note 5: Time for an upgrade? The Note series surprised everyone, including Samsung, when it caught the public imagination and began to sell in large numbers. What was once thought of as comically big, has since become normal — the original Note, released in 2011, only had a 5.3-inch screen. We’ve come a long way since then and Samsung’s latest Note is a monster by comparison. We doubt there are many people using the original Note now, but the Note 5 is still going strong and so today we’re going to pit Samsung Galaxy Note 8 vs. Galaxy Note 5 to see if it’s time for an upgrade. Most people start to look for a new phone after around two years and that’s how long it has been since the Note 5 hit stores. Samsung skipped number 6 in the series, and the less said about the Note 7 the better, so the obvious choice to replace the Note 5 is the Note 8. Read more in our Galaxy Note 8 hands-on review. 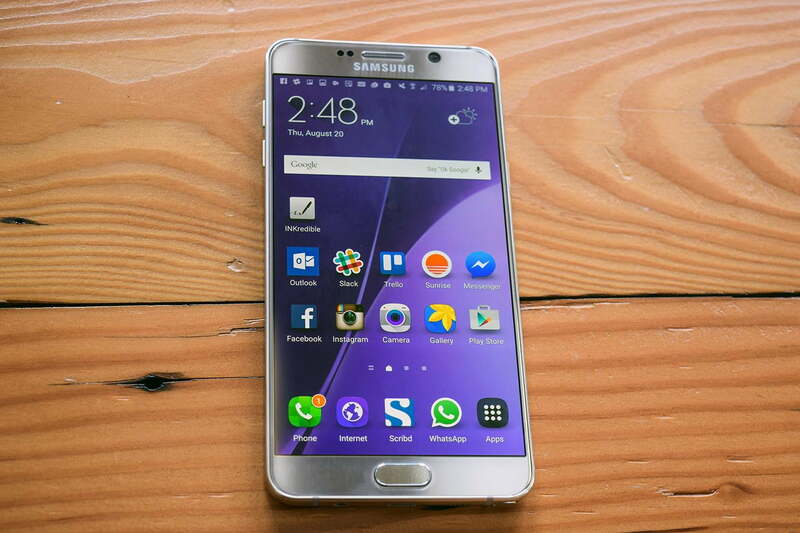 The Note 5 has an octa-core Samsung Exynos 7420 processor inside it, backed up by 4GB of RAM. It’s a slick, fast phone that still runs the latest games and apps without complaint. It launched with Android 5.0 Lollipop, but it has since been updated to Android 7.0 Nougat and it has the latest flavour of Samsung’s TouchWiz UI. There’s absolutely no doubt that the Note 8, which packs Qualcomm’s Snapdragon 835 processor, or Samsung’s updated Exynos 8895 in international markets, is more powerful. The Note 8 also has 6GB of RAM, which will serve you well for multitasking, especially if you like to jump in and out of a lot of apps. Two years is a long time when it comes to processor performance, but a more noticeable upgrade for the average user comes in the shape of additional storage. The Note 5 comes with 32GB, and the lack of a MicroSD card slot can be a real pain. The base model of the Note 8 has 64GB and there is room to expand via MicroSD. You’ll immediately notice that the Note 8 is significantly taller than the Note 5, it’s also a touch thicker and heavier, but it isn’t quite as wide. Both feature curved glass on the back and a metal frame, but the front view of these phones is very different. With the Note 8, Samsung has ditched the home button and moved the fingerprint sensor onto the back, next to the dual camera. It’s an annoying placement and if you’re used to the fingerprint sensor on the front, we don’t think you’ll like it. The trade-off is that the front of the Note 8 is virtually all display, with curved edges that you won’t find on the Note 5. This new design enabled Samsung to pack a 6.3-inch display into the Note 8 with a resolution of 2,960 x 1,440 pixels and an aspect ratio of 18.5:9. The Note 5 still has an excellent 5.7-inch, 2,560 x 1,440-pixel screen with a standard 16:9 aspect ratio. They both have vibrant Super AMOLED screens, but you’re obviously getting a little more screen real estate in the Note 8, as well as those gorgeous curved edges. In terms of durability, the Note 8 wins again with an IP68 rating which means it can withstand a dunk in water. The Note 5 will not survive submersion. The 3,000mAh battery in the Note 5 is enough to get through an average day, but we’ve noticed its performance waning in recent months. That’s often the case as batteries age. The Note 8 has a slightly bigger 3,300mAh battery and, even though it has a slightly larger screen, the improved power efficiency in the latest processors should translate into better battery life. Both phones support wireless charging and fast charging, but the Note 8 should charge a bit faster, thanks to the latest version of Samsung’s Adaptive Fast Charging. We love the 16-megapixel camera in the Note 5 and it still takes great shots, but camera technology is marching on and the Note 8 has jumped on the dual camera bandwagon. It sports two 12-megapixel sensors on the back. One of them is a telephoto lens with an f/1.7 aperture, and the other is a wide-angle lens with an f/2.4 aperture. Both have optical image stabilization. Combined, they should enable some amazing, detailed photos, and a striking bokeh effect, where the background is blurred, can be applied before or after you snap a shot. The 5-megapixel front-facing camera in the Note 5 has also been improved upon with an 8-megapixel selfie cam in the Note 8. The Note 8 has a slightly newer version of Android and it’s likely to keep getting updates for longer than the Note 5. Both have Samsung’s TouchWiz user interface on top, which provides some handy extras. They also both have the S Pen stylus with a bunch of apps and software tweaks to take advantage of it. 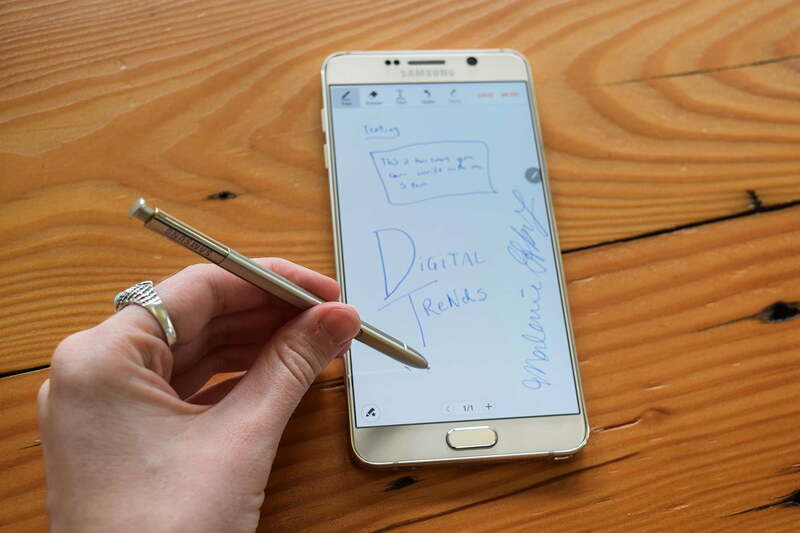 The S Pen itself has changed, with improved pressure sensitivity, and there are a couple of new tricks that you’ll only see on the Note 8, like easy GIF creation and Live Messages. You also get Samsung’s Bixby AI assistant with the Note 8, though we’re not sure it’s a major selling point right now. If you like the idea of using your smartphone as a desktop, the Dex Station might interest you. It’s another extra you won’t find with the Note 5. The Samsung Galaxy Note 5 started at $720 on release and it was available on all the major carriers. It has largely been discontinued now, though if you were to buy one unlocked, you could probably get it for around half that initial asking price. The brand spanking new Note 8 is one of the most eye-wateringly expensive phones we’ve ever seen with a starting price of $930. You can get it on contract with all the major carriers, but you’re looking at paying around $36 per month for two years. No surprise that the newer Note 8 is a better device than the two-year-old Note 5, but you’re going to pay a major premium for it. There are small to medium improvements throughout, and if you’re determined to stick with Samsung, we think it will feel like a major upgrade overall. Some people feel that Samsung played it too safe with the Note 8. It’s certainly worth remembering that Samsung isn’t the only game in town. There are some exciting devices on the market and the horizon, many of which cost less than the Note 8, so if your Note 5 is showing signs of age and you can live without the S Pen, you might want to look beyond Samsung’s wares for your next phone.